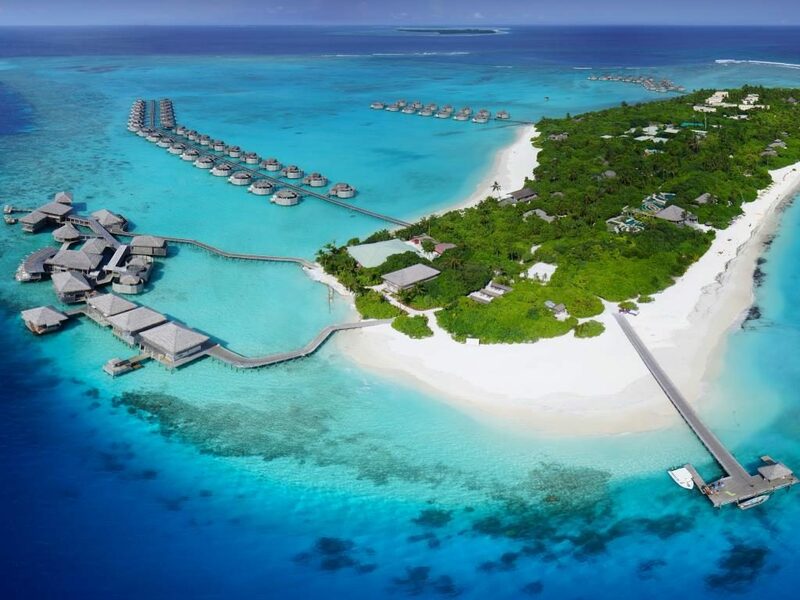 In the Maldives, there’s a particular calm splendor that envelops its beaches and atolls, with their pristine white sand coasts and turquoise waters. Together with the area’s warm, sunny weather and relatively peaceful seas, it’s not hard to fall in love with this African nation, particularly if you’re someone looking for a new summer getaway. Atolls are always magnificent to behold, being the product of millions of years’ worth of evolution. The Laamu Atoll, in particular, adds to the Maldives’ fantastic landscape and charm. And as Six Senses has the advantage of being the only resort on the Laamu lagoon, booking a stay here allows you to see it upfront and unobstructed, letting you relish in the atoll’s magnificent splendor. Have an open-air dinner on Laamu’s sandbanks. There’s nothing quite like having a meal to an enthralling sunset sight, stars, and soft candlelight. And Six Senses Laamu knows it—for an intimate conversation with friends or some quality time with a special someone, you can arrange to have a sandbank barbeque dinner on Laamu’s pristine sands when you book a stay at the resort. Dive and snorkel into clear blue waters. Being one of the select inhabited atolls in the world, it’s a shame to not look into Laamu’s marine life and corals further during your stay at Six Senses. Fortunately, the area is PADI-certified, so whether you’re a full-time professional diver or a beginner looking to learn, you have the liberty to avail of the area’s PADI courses or go off on your own. If you’re a little doubtful of your diving skills, Six Senses also offers snorkeling services so you could still take a gander at its diverse underwater landscape. Say hello to the atoll’s friendly inhabitants. If you’re not feeling the need to take to the waters but nonetheless want to see some of the atoll’s residents, no worries—the resort also hosts sunset dolphin cruises, where you can watch these magnificent creatures in action. Perhaps, if you’re lucky, you might even shake fins with them. While much of Six Senses’ selling points come from its surroundings, that doesn’t mean its accommodations are a slouch. On the contrary, it’s the accommodations that add to the Laamu experience further, with each offering features and amenities that are sure to satisfy the different needs of each guest. 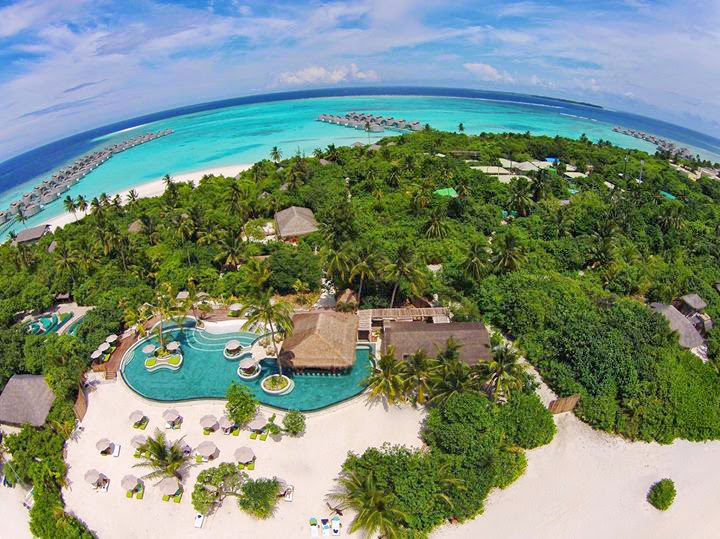 Lagoon Beach Villa. Facing the atoll’s lagoon, this villa gives you a sense of privacy as you are shrouded in the lush greens and trees of the land. Availing of this villa allows you the luxury of basking in the lagoon’s shallow waters and unique ecosystem. Ocean Beach Villa. For the full beachside experience, you could instead book an ocean beach villa, where you are perched towards the Indian Ocean. While this might be a little farther from the atoll, you nonetheless are granted a grand view of the ocean instead, perfect for those who love that familiar oceanside feel. Lagoon Water Villa. The water villas are perhaps what Six Senses Laamu are best known for, and for a good reason—perched above the waters surrounding the island, they allow guests to feel one with the lagoon and ocean without having to take the long journey towards the shore. The lagoon water villa, in particular, offers a panoramic, all-encompassing view of the Laamu Atoll, and one you’re sure to not forget any time soon. Ocean Water Villa. If you prefer to bask in the ocean waters instead, the ocean water villa offers the same experience as it sits upon the Indian Ocean. Feel free to immerse yourself in the waves and sea breeze from dusk to dawn as you watch the sun rising and setting on the horizon. Laamu Water Villa. Every now and then, a bit of seclusion can give you a deeper appreciation of any given experience, as it becomes yours and yours alone. That said, if you want more privacy during your stay, you might want to book a Laamu water villa. Stationed at the lesser known parts of the area, you are given the sensation of more profound, intrinsic oneness with the environment, while you have the freedom to bask in the waters any time you want. 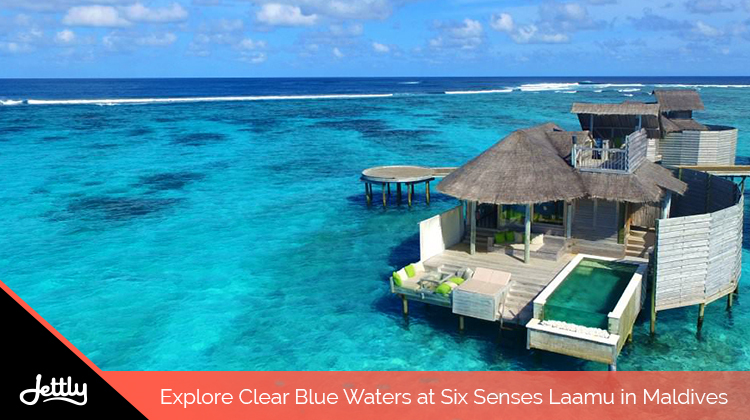 All this said, Six Senses Laamu definitely earns a top spot in the luxury resorts and hotels we’ve got our eyes on this 2018. If you’re looking to book a stay there and experience it yourself, however, book a flight with us now. Because a world-class experience deserves a world-class flight.